Oh my, France, you are positively stunning! People will be lined up at the door to bring you home!!! You do look very sweet, ma cherie! Yes Ma Charie we wish you luck and our paws are crossed. Have a serene and easy Sunday. What outstanding nosie colors she has! 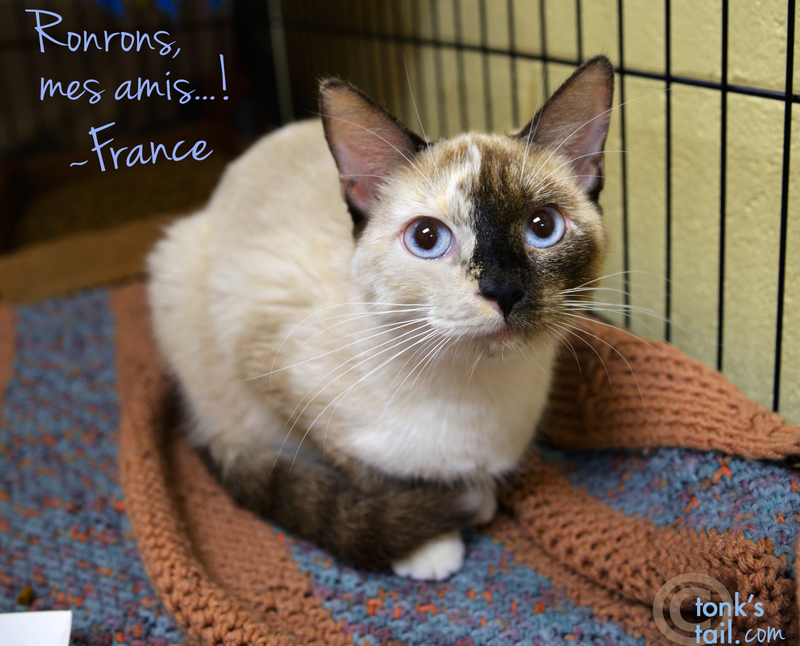 What a darling France is...huge purrs for her to find the right and perfect forever home where she is safe and cherished.